Downtown Deal Sheet! 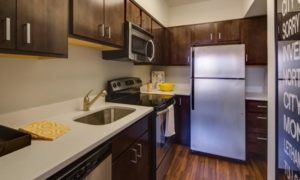 Looking For Great Downtown Apartment Deals? The weather is cooling off but apartment deals are heating up! Here are some of our favorite deals on luxury apartments downtown this week. 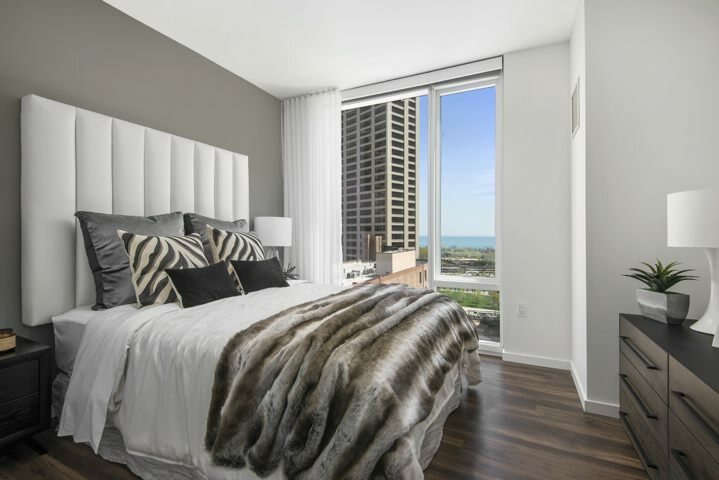 Property 139 is a brand new River West high-rise with resort-like amenities and modern interiors. Kitchen finishes include quartz countertops, stainless steel appliances, kitchen islands, gas ranges, and unique layouts. Each unit has sleek, stylish hardwood floors, in-unit laundry, floor-to-ceiling windows, and custom Elfa walk-in closets. 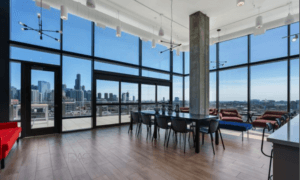 Amenities include a “jam” room with instruments and pool table, a 15th-floor skylounge, indoor and outdoor fire places, several work-from-home spaces, a recording studio, and movie theatre. 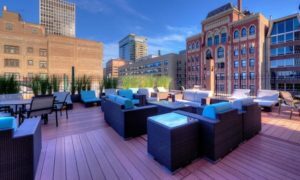 A 1-acre landscaped rooftop terrace features a hot tub, bocce and spike ball, fire pits, a pool with cabanas, hammocks, and grill stations with an outdoor pizza oven. 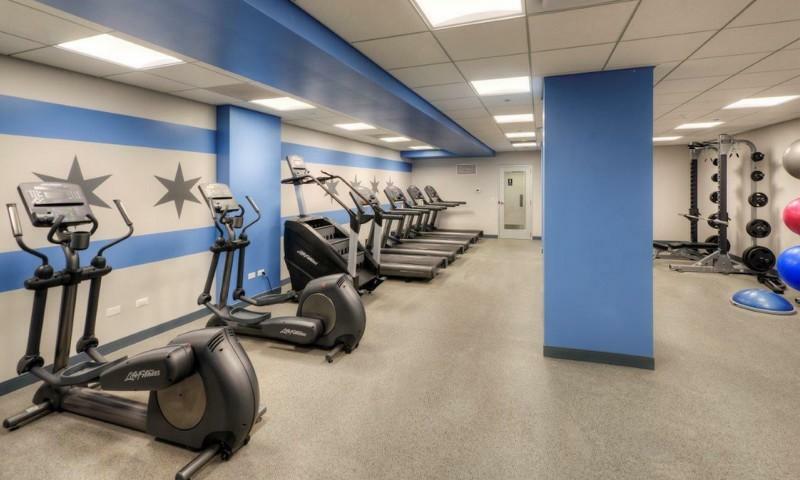 Multiple fitness amenities include a state-of-the-art fitness center with TRX, a squat rack, cardio and weight equipment, a boxing simulator, and a peloton spin bike studio. 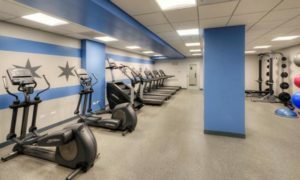 There are also 2 private training rooms where free yoga and HIIT classes are held twice per week. Coffee, tea, and fruit-infused water is available to residents in the lobby. This pet-friendly building also features dog amenities, including a heated dog run and pet spa. 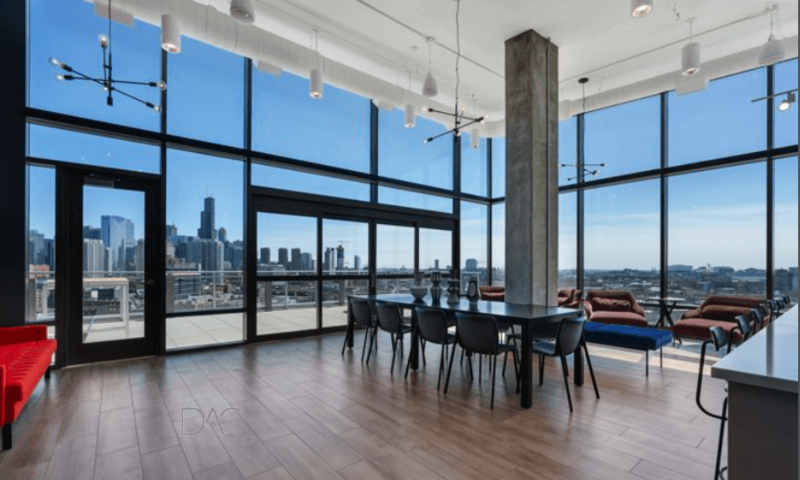 These South Loop luxury apartments feature nine foot ceilings, walk-in closets, balconies, and hardwood floors throughout. The modern kitchens have granite countertops, stainless steel appliances, and floor-to-ceiling windows for maximum natural sun light. All units in the building have an in-unit washer and dryer. At 886 square feet, this large 1 bedroom apartment is perfect for anyone looking for maximum space. What is most important to you in an apartment? 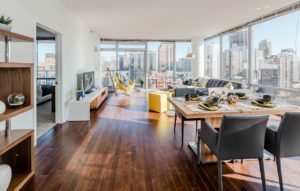 If a high walk score and abundant closet space made the top of your list, you’ll love these Gold Coast apartments. Each unit features espresso plank flooring, stainless steel appliances and quartz countertops. In-unit laundry is available in select units. The market rent on this 2 bedroom layout starts at $2309. 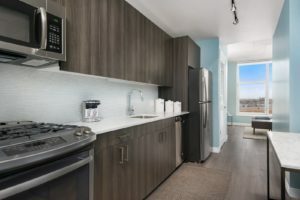 After the 1 month free on a 12 month lease, the rent nets to just $2117! Prices can change daily, so if you’re looking for more information on great apartment deals in downtown Chicago, don’t hesitate to contact us today!